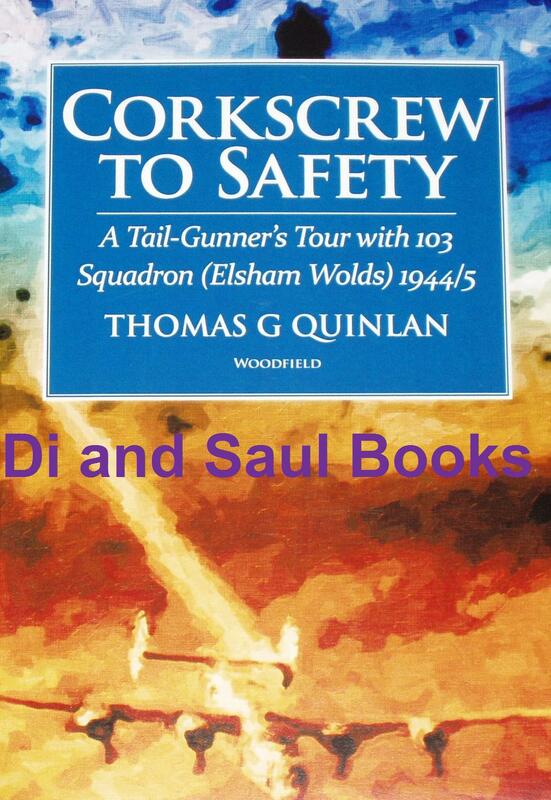 From the rear side cover: In this gripping memoir, Thomas G. Quinlan recalls his eventful operational tour with 103 Squadron RAF as an Avro Lancaster tail-gunner during the latter years of World War II. He tells of a tour of 30 missions over enemy territory that he and his fellow crew-members were fortunate to survive, a feat he puts down to their pilot’s mastery of the ‘corkscrew’ manoeuvre, which he repeatedly and successfully employed to avoid German predictive anti-aircraft fire and night-fighters, both of which took a terrible toll of RAF and USAF aircraft. Tom’s crew had an additional reason for not wishing to be shot down over enemy territory. Their pilot was Belgian and wanted by the Gestapo for his previous involvement with the underground resistance movement in Brussels. If captured, he could expect harsh treatment. Based at Elsham Wolds, near Scunthorpe in Lincolnshire, No.103 Squadron was part of 1 Group of RAF Bomber Command, engaged during 1944 in bombing strategic targets in Germany, Holland and France and, after D-Day, providing support to advancing Allied ground forces. From their very first operation, Tom and his comrades were in the thick of the action and his detailed accounts of their 30 subsequent missions brilliantly convey the conditions faced by RAF bomber crews in World War II and particularly those in his own role as tail gunner. Unpretentiously told and full of authentic detail, it is as illuminating an account of the wartime RAF as you are ever likely to read, that brings to life the extraordinary events and remarkable experiences it describes.